If you're all about the slim but don't fancy something from Apple, Dell's latest might be worth looking at. Sadly, that's pretty much all you can do at the moment: look. As reported over on Electronista, the PC maker has created a sneak peek site offering a glimpse into the world of its latest XPS-range laptop. While details are extremely scant - i.e. there isn't even the slightest hint as to its specifications on the site - one thing has been revealed: the device is a mere 9.99mm thick. To put that size into perspective, it beats the MacBook Air - possible the most famous ultra-thin laptop currently on the market - is 19.9mm at its thickest point, making the Dell Adamo XPS around twice as thin. One thing is for sure: this beast is going to be seriously portable. From the images provided, the body appears to be metal - most likely Mac-style aluminium - and features a rounded edge look which is a departure from the norm for the Adamo range. 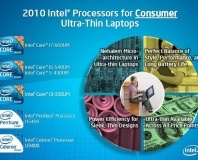 With specifications still under wraps, the most likely choice for processor is one of Intel's latest CULV low-power chips - an Atom is unlikely, but not impossible. Battery life is likely to be the killer: with a laptop so thin, something has to give - and with precious millimetres of space missing, the size of the battery has to suffer. That said, with the use of an interesting shape and sensible hardware choices it wouldn't be impossible for Dell to create something that'll run for an entire working day - but you can expect to pay dearly. 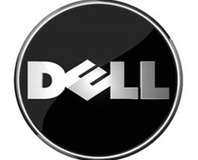 Speaking of price, Dell isn't: neither a proposed launch schedule nor expected retail pricing is revealed on the site, although interested parties are encouraged to provide their e-mail address for the next press release. Does the Adamo XPS press all your buttons, or does its slim sexiness fail to overcome the fact that it's still a Dell? Share your thoughts over in the forums. 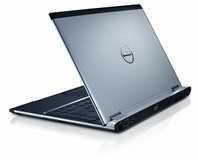 Issues with certain Dell laptops are currently plaguing users - and those affected accuse the company of removing forum threads detailing the issues and issuing bans.